The GO! 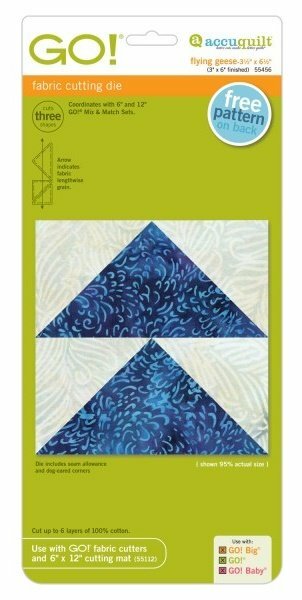 Flying Geese - 3 1/2" x 6 1/2" (3" x 6" Finished) unit is simple, yet versatile and can be used in a variety of quilt blocks and settings. Flying Geese are the foundation of many quilt blocks and borders. Units can be created quickly and easily for many design possibilities.